Truffaut, one of Hitchcock’s biggest admirers, qualified Notorious as “the quintessential Hitchcock film”, which clearly shows what solid a standing this enjoys in the British filmmaker’s oeuvre, even if this was far from his best works. This elegantly made film smoothly captured elements of espionage and romance, and deftly dealt with such subtexts as accepting real politik when it comes to “national security”, subverting the image of a villainous Nazi, or smartly evading the “three second” rule of kissing as per Hays Code. 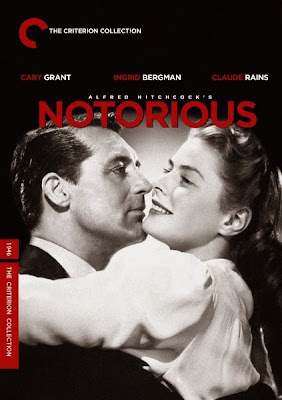 Alicia Huberman (Ingrid Bergman), the luminously beautiful daughter of a disgraced Nazi sympathizer who spends all her time drinking and having a merry time, is engaged by secret service agent Devlin (Cary Grant) for a certain mission. She starts falling for him and is vocal about it, while he, despite his growing feelings for her, chooses to remain as icy and cold as possible – more so when he is apprised by his superiors of the mission at hand, that of trapping Sebastian (Claude Rains) through seduction as he is suspected to be the member of an underground Nazi group. Things become even more complicated when Sebastian, who has always been besotted with her, asks her to marry him despite oppositions from his domineering mother (Leopoldine Constantine), and she goes ahead with it more to spite Devlin than as a sacrifice for the job at hand. In Alicia we had a beautifully developed and truly well-rounded female character trapped by the ignominy suffered by her father and doomed to be considered as a loose woman and a Mata Hari substitute by conservative middle-aged men, and aptly complemented by the staid and brooding mood, and excellent B/W photography. Sorrentino’s The Great Beauty is an ambitious, delirious and gorgeously photographed exploration of mid-life crisis, with the glitz, glamour and razzle-dazzle of Rome at the backdrop. It covered two things with utmost ease – on one hand it was a scathing critique of the decadence of Roman upper-class, socialites and glitterati, with all its grotesque excesses, vacuous hedonism, spiritual bankruptcy, vapid celebrity-hood, rabid hypocrisies and all-night reveries that are sure to draw parallels with La Dolce Vita, 8 ½ and La Notte; on the other it provided a melancholic and deeply personal peek into the loneliness, memories of lost love and disappeared youth, and existential crisis of a middle-aged journalist who is going through the motions in life, reminiscent of Bellow’s Herzog. 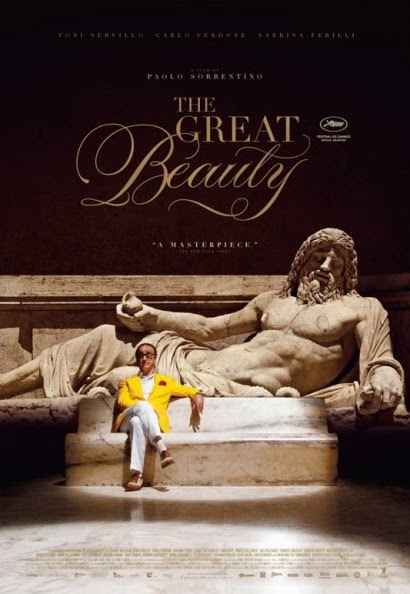 The film began with exquisite vignettes of the city, and then, in a sharp turn, moved to its fabulous and sinful night-life where our protagonist Jep (Tony Servillo) makes a superb entrance. Over the course of its 2 ½ hour length, Jep is shown slipping in and out of his public veneer, reminiscing about his first love, being coaxed to write a much-delayed sophomore novel – his first, written many years back, had earned him significant fame and had sealed his entrance into the elite upper echelons, his burning self-deprecation, his vitriolic cynicism towards organized religion, mediocrity, fakery and shallowness, and his friendship with his perceptive editor and a bumbling director. As a minor flip, the tone became tad too sentimental and mellow by the end, thus overwriting the dark, rancid humour till then. Servillo gave a tour de force performance with his effortless evocation of a gamut of emotions just through facial expressions. Rituparno Ghosh’s Sunglass, for reasons not known to this reviewer, had been on hold for quite sometime now. 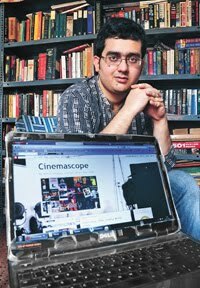 This hitherto unreleased film finally saw the light of day at this year’s KFF which held a retrospective to commemorate the recently deceased Bengali filmmaker. 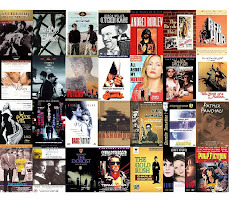 Though covering such topics as marital fidelity, simmering urban discontent and ennui, this would easily rank as his most unabashedly mainstream venture, and hence appeared as an odd one out vis-à-vis his oeuvre – particularly compared to his last few films which were at times too deliberate in their high-brow aesthetics and were affected by his increasing real-life activism. Further, this was also his first try at magic realism. Consequently, given Ghosh’s forte as a storyteller, as proven by the first half of his filmography, one might expect this to be worth looking forward to. Unfortunately, it turned out to be a rather half-hearted effort full of clichés, predictable plot developments, and weak attempts at social satire. 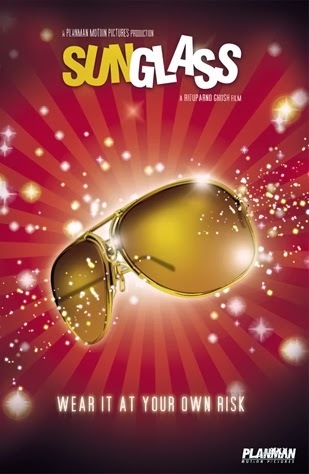 The story is about an upscale and seemingly happy couple (Konkona Sen Sharma and Tota Roy Chowdhury) whose veneer of respectability comes crashing down when the wife stumbles upon an antique sunglass which allows her to become aware of what is not directly visible to the eyes, and she ends up knowing things about her husband, friends, housemaid, etc. that she wasn’t supposed to know. There was promise in the premise, but the above mentioned factors, coupled with its tad didactic nature and mediocre performances by all, including the reliable Konkona, made the film forgettable at best. Both Naseeruddin Shah and Jaya Bachchan were wasted in their brief roles which had considerable potentials. I'm happy there are a number of good films to remember Ghosh by. 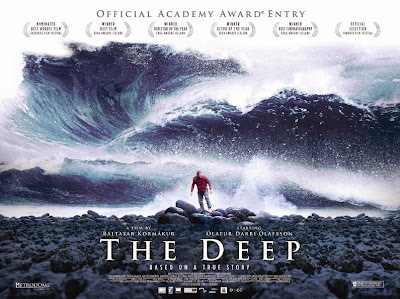 Directed by Icelandic filmmaker Baltasar Kormákur who’d made the engaging crime mystery film Jar City, The Deep is a human drama that seemed three films rolled into one, and consequently it didn’t have any underlying or coherent thematic base. The 1st act was about camaraderie among sea-men, particularly in the context of preparing before an arduous venture; the 2nd focused on the age-old theme of endurance and survival against an impossible adversity; and the final act, in an sharp change of the stance, dealt with sudden fame for the most unanticipated reasons imaginable. Based on real events, the film chronicled the aftermaths of the capsizing of a fishing trawler off the coast of Iceland’s volcanic Westman Islands. Despite the distance from the coast and the freezing temperatures that are sure to kill anyone in a matter of minutes through hypothermia, the chubby and soft-natured Gulli (Olafur Darri Olafsson), quite astonishingly, manages to reach the rocky coast and then walk to his town. With the grimness and sorrow surrounding the tragic event, he becomes, much to his perplexity and increasing discomfiture, famous for his miraculous escape, and earns attentions of a British researcher. The realism imbued into the proceedings, Olafsson’s empathetic turn – especially during the ordeal and the things he did to keep his mind off the situation, and the knowledge that what we’re seeing actually happened, made this an interesting watch. However, turning it into a medical documentary of sorts made the film end up neither here nor there, with hardly a point by the time it got over. 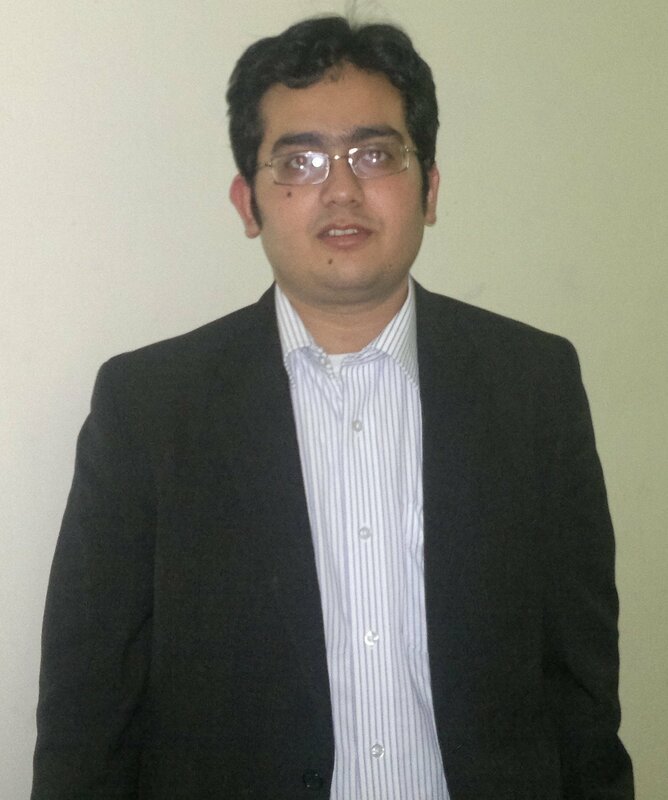 Hence, restricting the 3rd act to an afterthought would have been a more prudent choice. 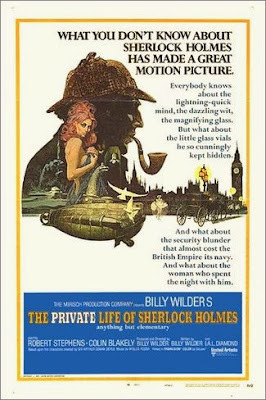 Arthur Conan Doyle had mentioned in the short story A Scandal in Bohemia that Irene Adler, who Holmes couldn’t fully master, always remained as “the woman” to the legendary sleuth, but Billy Wilder would like to have us believe otherwise. In The Private Life of Sherlock Holmes Wilder provided a satirical look into what the film’s title made it clear – the 221B Baker Street resident’s idiosynracies, his habit for snorting coke, his seeming lack of emotions towards women, popular perceptions about his orientation, his actual physical stature, and so forth – as opposed to his romanticized image as per the words of his trusted aide Dr. Watson. Divided into two unequal halves, the first half showed renowned Russian ballerina Madame Petrova’s attempts to lure Holmes (Robert Stephens) into marriage and his rather undignified means of getting out of the proposition that leaves Watson (Colin Blakely) fuming, while in the second he gets embroiled into a matter of national security. It antagonizes his elder brother Mycroft (Christopher Lee), and more importantly he finds himself falling for the beautiful, seductive and mysterious femme fatale Gabrielle (Geneviève Page) possible against the better judgement of his super-rational mind. This late-Wilder was certainly a much lesser effort vis-à-vis his more renowned works; nonetheless, it was a highly enjoyable film filled to brim with cheeky humour and situational comedy. In fact, its gradual transition from bawdy, but intelligent, humour that it began with, to the rather melancholic and quietly touching finale, convinced me that even an average Wilder is better than the best works of many. Both Stephens and Blakely did well, while the score was good too. 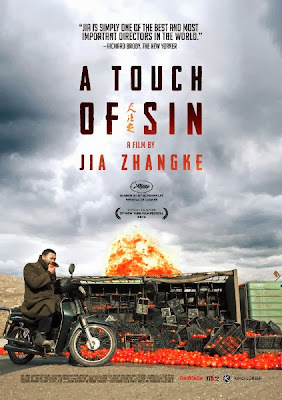 Chinese maestro Jia Zhang-ke has always been a dissenting political voice, and in the brutal, powerful, explosive and astounding hyperlink film A Touch of Sin, he focused on the dark underbelly of China’s so-called success story. Using 4 loosely connected stories he traversed a wide socio-economic spectrum, and ended each with at least one death, which clearly displayed his downbeat stance. In the 1st and best story, Dahai (Jiang Wu), increasingly angry about how the local boss has become insanely rich by selling a collective propoerty, suddenly goes off his fuse leading to an incredible sequence of unforgettable carnage; in the 2nd, Zhou (Wang Baoqiang), coldly and clinically commits murders before and after his trip to home at a small village, albeit for divergent reasons; in the 3rd, Xiao (Zhao Tao), receptionist at a massage parlour, is ambushed by the wife of the man she is having an affair with, and her tolerance limit is memorably crossed when two men keep badgering her with the assumption that money can buy her “services”; and in the 4th, a young boy skips town when he becomes financially liable for a factory accident, and when he falls for a girl who caters to the fantasies of the super-rich, his despair becomes total. Jia brilliantly punctuated the grim and serene realism with shocking violence, black humour, lacerating ironies and stylized moments, jarringly showed how inequitable growths invariably breeds violence and disillusionment. The scenes where Dahai roams around the streets with his shotgun, Xiao transforms into a martial-arts warrior, or the terrific opening where Zhou is held up by 3 robbers who are oblivious of who they are dealing with, are sure to leave one jolted and electrified.